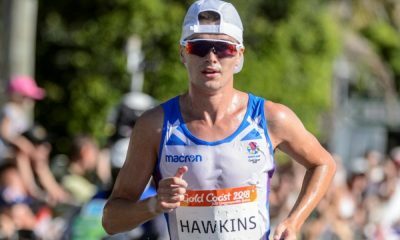 England’s Alex Bell and Wales’ Jonathan Hopkins produced impressive performances on a day of mixed fortunes for the home nations runners at the Commonwealth Games. After her superb PB in the semi-final, Bell was a creditable fifth in the 800m final on Friday (April 13) behind the overwhelming favourite Caster Semenya. As the South African Olympic champion easily won in 1:56.68, Kenya’s Rio 2016 bronze medallist Margaret Wambui came through for silver in 1:58.07. Following the victory in the steeplechase of her compatriot Aisha Praught earlier in the week, Natoya Goule produced another surprise middle-distance medal for Jamaica as she set a PB 1:58.82. Bell was near her best with 2:00.83. 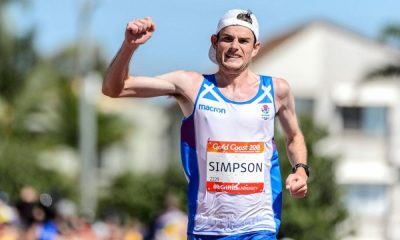 Behind a predictable Kenyan one-two-three in the men’s 3000m steeplechase, the home nations athletes performed solidly. World and Olympic champion Conseslus Kipruto assuredly won gold in a Games record of 8:10.08, having time to urge on his team-mates in the home straight. Abraham Kibiwott was clear in second. Most neutrals were willing on Canada’s Matthew Hughes to a bronze medal but after a courageous run he was passed in the home straight by Amos Kirui. Northern Ireland’s Adam Kirk-Smith was next in 8:48.40. England’s James Arnott took silver in the 100m T47 for athletes with an upper limb impairment. He ran 11.30 behind winner Suwaibidu Galadima of Nigeria, who clocked 11.04. Jamaica’s Tevaughn Thomas took bronze in 11.63, ahead of Wales’ Morgan Jones (11.93). England’s Andy Vernon, in his third Commonwealth Games, came home ninth in the 10,000m in 28:17.11 behind Uganda’s Joshua Cheptegei, who completed his Gold Coast double. In a repeat of the 5000m, he beat Canada’s Mohammed Ahmed into the silver medal position. The winning time of 27:19.62 was a Games record ahead of Ahmed’s 27:20.56. Kenya’s Rodgers Kwemoi took bronze in 27:28.66. After the race Vernon commented: “It was a tough race. It went off through the first 3k at about 27.30 pace, which is above my PB pace. I haven’t had the same build-up that I usually would going into the race. 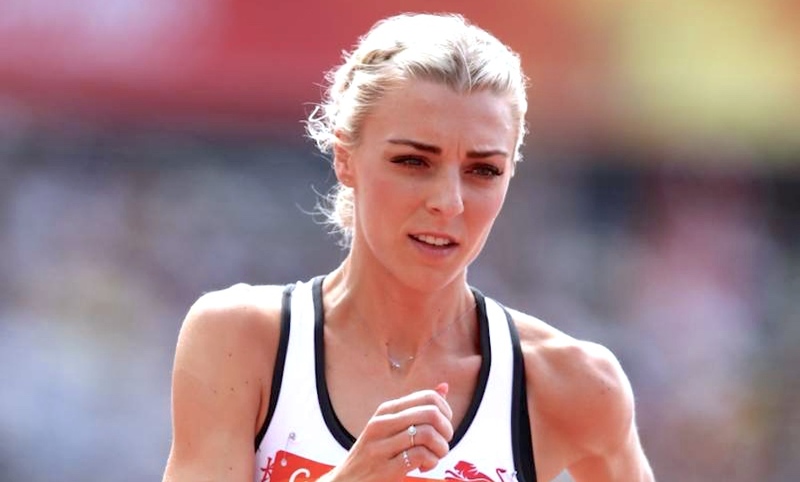 “I’ve done a lot of work over winter on my own and trying to get ready for a world-class 10,000m race on your own without people to help you is tough. 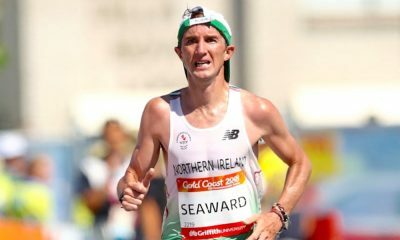 It is what it is, I did my best and prepared as well as I could have- having said that, I did have a setback a couple of months ago where I was out for about three weeks carrying what I thought was an recurring injury from last year. 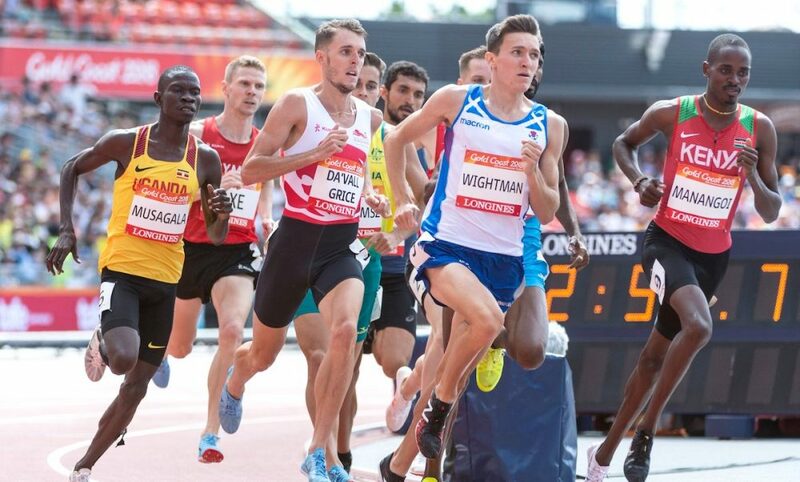 After his fourth in the 800m final, Scotland’s Jake Wightman resumed his hunt for a medal in his favoured event, the 1500m. Finishing third an automatic qualifier, he clocked 3:47.16 behind world champion Elijah Manangoi. England’s Charlie Grice also went through by right in fourth with 3:47.16. Scotland’s Chris O’Hare qualified as fastest loser from the other heat, finishing fifth in 3:44.76. However, Wales’ Tom Marshall, who features on Fast Running as part of the class of 2018 misses out after finishing eighth in 3:50.95, along with teammate Rowan Axe (3:49.89) and Jersey’s Elliott Dorey (3:52.75). English athletes Tiffany Porter and Alicia Barrett were outside of the medals in a 100m hurdles final won by Nigeria’s Oluwatobiloba Amusan in 12.68. Jamaica’s Danielle Williams (12.78) was second and her team-mate, Yanique Thompson (12.97) was third. Porter, the former world bronze medallist, was sixth in 13.12, and Barrett, who excelled to make the final, was eighth in 13.64. While England’s quartet qualified fastest for the men’s 4x100m final, their 4x400m counterparts suffered misery as Matt Hudson-Smith pulled up injured on the first leg just five seconds after the gun. The sprint quartet of Reuben Arthur, Zharnel Hughes, Richard Kilty and Harry Aikines-Aryeetey ran 38.15 – 0.13 outside the best ever by a team representing England – as they beat Jamaica into the runner-up position in the second heat. South Africa won the other heat in 38.71. 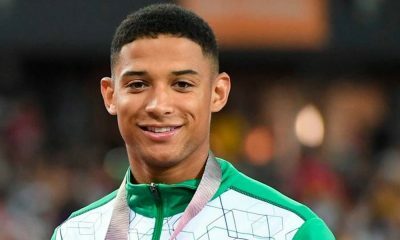 Jamaica were quickest in the longer relay as England’s hopes of gold disintegrated with the misfortune of Hudson-Smith, who had been disqualified for running out of his lane in the individual event.